Collagen is a miracle worker that I like to call “Botox in a Bottle”. It is the most abundant protein in the human body. Collagen supplements can reduce wrinkles & cellulite, help with hair & nail growth, reduce joint pain, and heal the gut. Collagen is the most abundant protein in the human body! It is a complex protein made up of several amino acids (protein building blocks) including glycine, proline, and arginine. However, as we age, our collagen levels naturally decrease. Not to mention, the modern diet is naturally low in collagen! Today we tend to favor animal protein from muscle meats (like chicken breast or steak) instead of organ meats or connective tissue, skin, etc- all of which are rich in collagen. Collagen supplements (which I’ll discuss below) fill in the amino acid gap created by our modern focus on muscle meats. Collagen is the building block that our bodies need to repair damaged tissues and mitigate inflammation. Reduced Stress: Glycine (a component of collagen) is an amino acid which actually relaxes our nervous system (so reduces stress both physical and emotional). Joint Pain: It improves the stability of joints and can even help reduce pain. Gut Health: Collagen can "heal and seal" the gut lining in cases of leaky gut or other intestinal inflammation. What’s the difference between collagen, gelatin, and bone broth? When do I use each one? The most confusing thing about collagen is the way the different products are named. The bottom line: Collagen, gelatin, & bone broth all contain the healing collagen protein, but they each have different uses in recipes! The biggest benefit will come from using all 3 sources in your diet. Collagen Peptides/Hydrolysate: Often referred to as simply "collagen"- this is collagen that has been hydrolyzed so that it does not gel and is soluble in liquids. This allows for smooth texture when blending into foods. It is generally tasteless and odorless. Collagen can be used in smoothies, coffee, and any recipe in which you want to add a protein boost but don’t want to change the texture. Favorites: Great Lakes Collagen Hydrolysate, Vital Proteins Collagen Peptides, & Vital Proteins Collagen Creamer (unsweetened collagen + coconut milk powder). 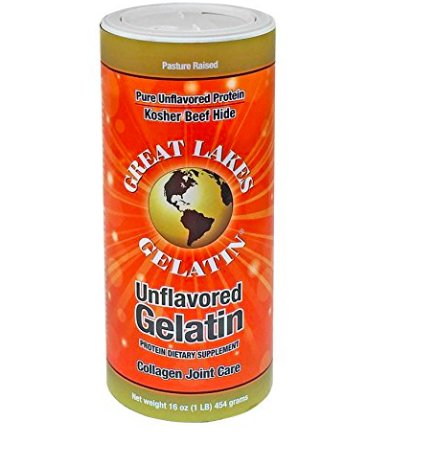 Gelatin/Collagen Protein: Often referred to as simply "gelatin", this is collagen protein that is unprocessed. It thickens the liquid it is mixed into, so it can be used for homemade gummies and even gelatin desserts. It is sometimes used in egg-free desserts to bind them. Don’t use this if you don’t want the “gel” effect! Bone Broth: Contains all the naturally occurring minerals along with the healing collagen & gelatin. For those with compromised gut function, this form is awesome because it is so easily digestible. You can make it yourself or purchase it pre-made. Just look for the words “bone broth” on the packaging- regular broth usually hasn’t been cooked long enough to contain collagen. Any bone broth will do (chicken, beef, turkey, etc. )- just mix it up depending on the recipe. 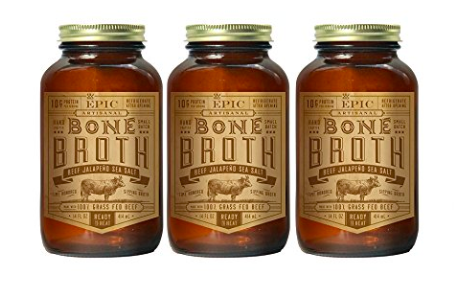 You can add bone broth to soups, stews, casseroles, etc. for an extra boost of nutrition.